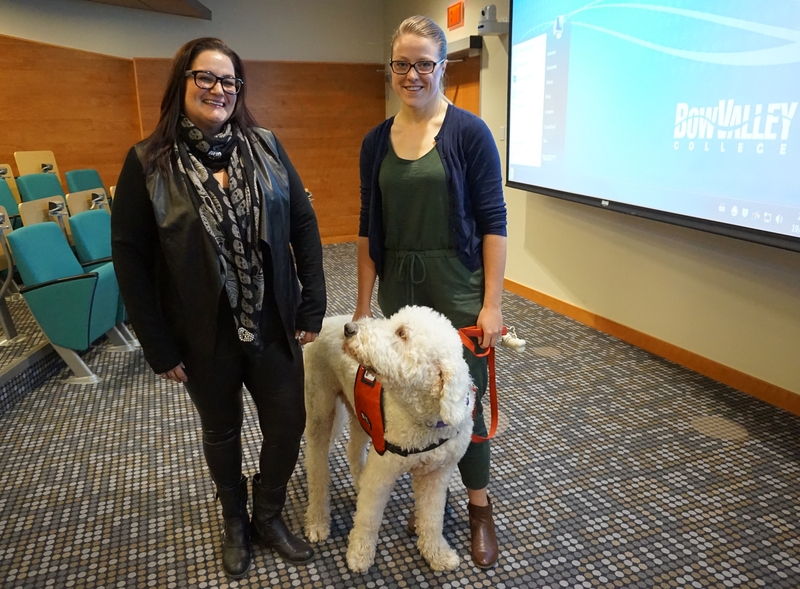 During my time as a practicum student at CAES I had the opportunity to attend some of the Disability Employment Awareness Month (DEAM) events put on by the Calgary Employment First Network (and partners). The two main events I attended were the Calgary Economic Development ‘Let’s Talk Employment – Inclusive Leadership’ and the Bow Valley College ‘DEAM Film Festival’ . In this post I would like to focus on some key points I took out of the ‘Let’s Talk Employment – Inclusive Leadership’ event. 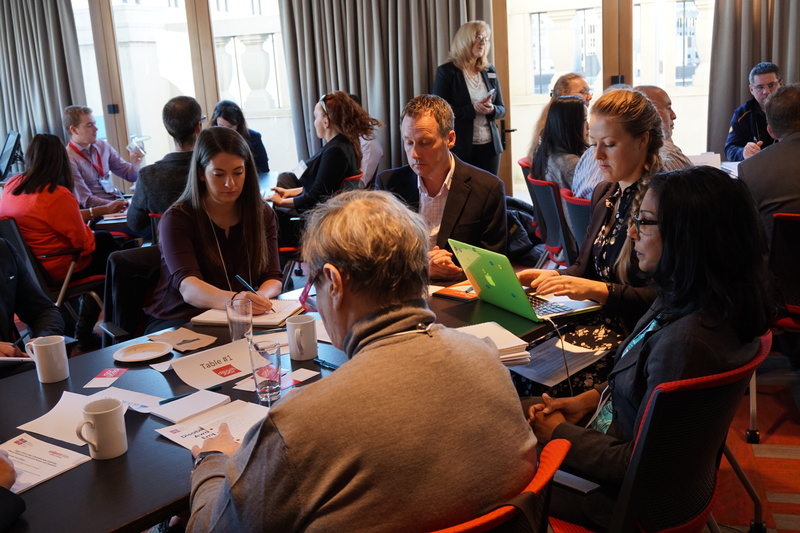 ‘Let’s Talk Employment – Inclusive Leadership’ was an event for employers to talk to other employers but I was able to attend as a note-taker for the table discussions. I essentially acted as a ‘fly on the wall’, not participating in the discussion but writing notes on what was said. I was assigned to sit at Iron Mountain Manager Nikki King’s table. During the course of the discussion she brought up 3 very important points: What kinds of expectations do we have, Inclusion opens the door for more inclusion, and Use the tools there for you. Nikki started of the discussion talking about the first person that she hired with disabilities. She described her expectations as, “I just needed him to be able to push a button on and off.” She soon realised that he had higher expectations for himself. He learned how to use a Bobcat and is the safest employee they have operating it with no incidences. In a short blog posting, Marc Tumeinski reflects on Wolf Wolfensberger’s Social Role Valorization Theory stating, “Much of Social Role Valorization Theory addresses this reality of expectations: if we want to help socially devalued people to have greater access to the ‘good things of life,’ then one relevant and potent strategy is to work to shape the mindsets which others hold about devalued people, so that the mindsets are as positive as possible, presume the capacity for growth and development, and are consistent with the possibility that devalued people can fill socially valued roles.” People will either live up to or down to our expectations of them, we should work to challenge and promote growth in all of our employees. The second point, Inclusion opens the door for more inclusion was one that many people could relate to. Nikki as well as others attested to the fact that when people see that an employer or company is willing to make accommodations for people they feel more comfortable bringing to light their own need for accommodations. Inclusive environments are not just accommodating those with obvious physical or cognitive challenges, they also provide support for those with mental, learning, emotional and acquired challenges. Everyone thrives in an inclusive workplace. Using the tools provided to you as an employer was a huge point that all of the panelist’s agreed to. Organizations that deal specifically in inclusive employment (such as CAES) are more than willing to help the employer in providing a successful and inclusive environment. They are always willing to work with employers to determine what needs to happen and how to do it. Nikki spoke about not having any idea what she needed to do and how important the inclusive employment specialist she worked with was to the success her company has had in creating an inclusive and diverse environment. I thoroughly enjoyed being able to participate in the DEAM events and recommend anyone interested in having a more inclusive workplace to make sure and participate in DEAM 2017.